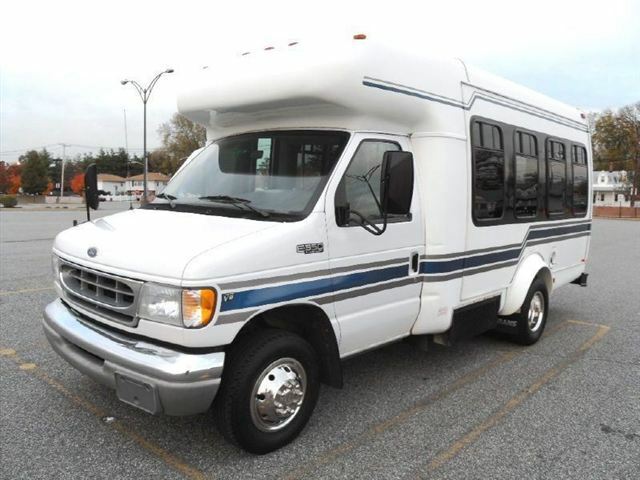 2002 FORD E-350 STARTRANS NON-CDL WHEELCHAIR SHUTTLE BUS. 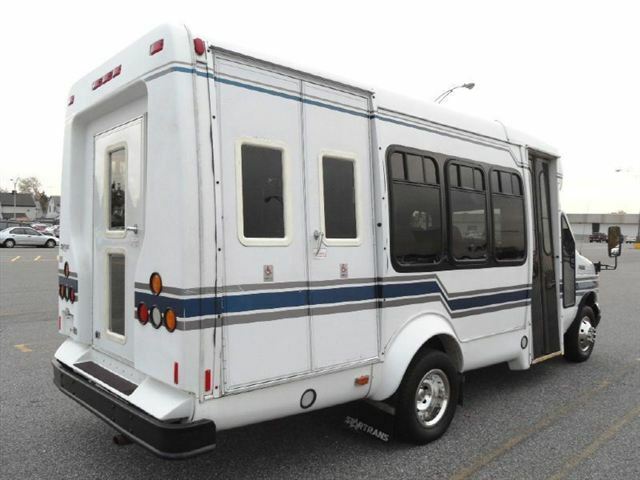 2 + 2 DOUBLE FLIP SEATS (SEATS 6) WITH UP TO 4 WHEELCHAIR POSITIONS PLUS DRIVERS SEAT. 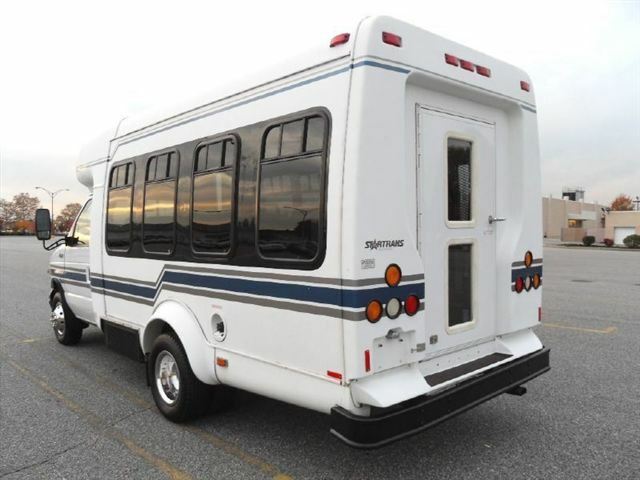 SEE ALL OUR BUSES AT OUR WEBSITE FOR www.getanybus.com OR CALL CHARLIE AT 516-333-7483. The vinyl seats are in great condition as well as the rest of the cabin. 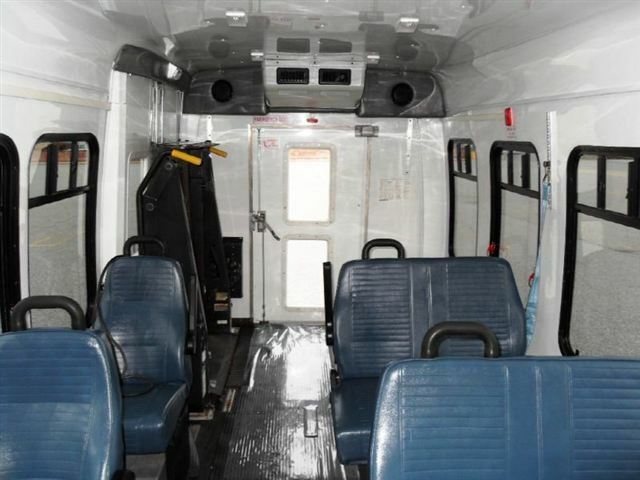 The exterior of the bus has a very nice appearance. 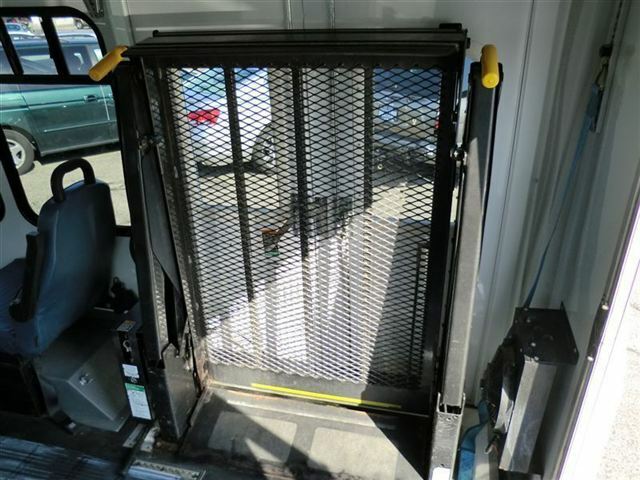 All electrical and mechanical equipment including the wheelchair lift is in proper working order. ECONOMICAL FORD 5.4L V-8 TRITON GAS ENGINE.... AUTOMATIC TRANSMISSION WITH OVERDRIVE.